How do Panasonic solutions support hotels? From in-store advertising and promotions to wayfinding and interactive kiosks, retailers, museums, theatres, casinos, hotels and restaurants are leveraging Panasonic digital signage for cutting-edge marketing and branding. Panasonic offers a wide range of professional displays, including ultra-thin bezel models that create breathtaking video walls for an unmatched customer experience. 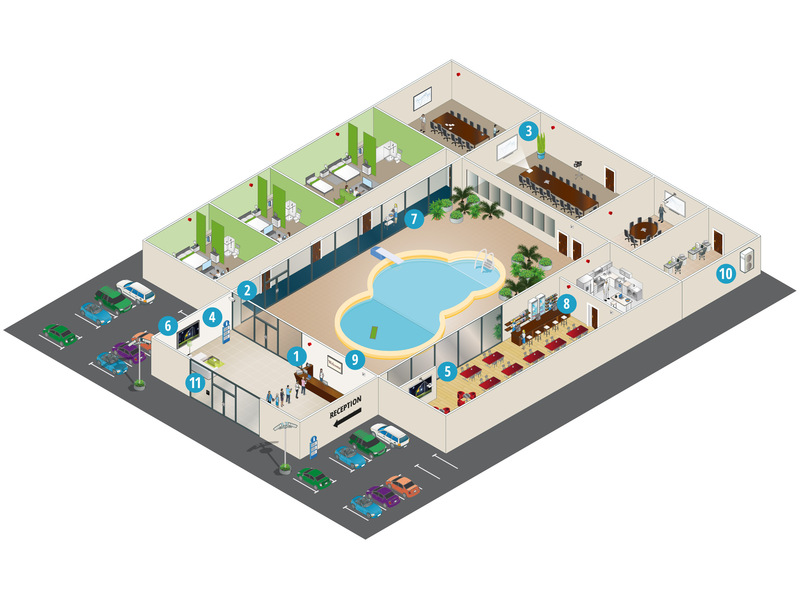 In today’s hospitality and leisure environments, customers are always on the move. To ensure you keep up with their needs, we keep up with your needs. Whether presenting customer-facing product choices, in-store promotions, queue busting, or convenient and efficient customer payment, Toughbook and Toughpad offer a reliable, economical choice to help optimise service while increasing average sales. Panasonic is a leader in surveillance systems - offering one of the largest ranges of security and video recording systems in the market. With our range of IP, analogue and hybrid surveillance solutions, we can help design and deploy a customised system that best meets your speciﬁc needs, delivering superior performance and ROI. A long-established provider of hotel-specific communications, Panasonic offers solutions that include hospitality-specific features and tailored applications that enable you to implement advanced business processes.